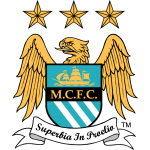 Having secured the Premier League title in dramatic fashion at the end of the 2011/12 season, many were excited to see how Manchester City would go about retaining their title and who they would recruit to help them do that. However, preparations for last season did not exactly go according to plan with City failing to secure top targets Robin van Persie, Eden Hazard and Javi Martinez, instead bringing in a host of squad players such as Maicon and Scott Sinclair which left many bemused. Coupled with manager Roberto Mancini’s public falling out with Brian Marwood over transfers, there was a lot of tension in a time where there should have been optimism. This tension carried itself into Manchester City’s play last season in both their Premier League and European campaigns, and by the end of January they were out of the Champions League at the group stage and fifteen points adrift of league leaders Manchester United, a gap that proved too much to close. Throughout the season, there were several reports of Roberto Mancini losing the dressing room, fuelled by the Italian’s public criticism of players like Joe Hart, Vincent Kompany and Samir Nasri. With relationships apparently irreconcilable in the dressing room and an embarrassing FA Cup Final defeat to Wigan Athletic to go with that, Mancini was sacked with two games remaining in the season. In June of this year, the Italian was replaced by former Real Madrid and Villarreal manager Manuel Pellegrini in the hope that he could get the best out of a group of underachieving egos, particularly on the European stage. 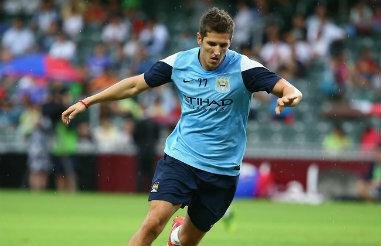 With some exciting signings brought in such as Fiorentina striker Stevan Jovetic, Pellegrini will know that silverware is the name of the game going into the new season. Manuel Pellegrini arrives in English football with experience in abundance having managed in South America at clubs such as River Plate as well as in Spain where he managed Villarreal, with whom he reached a Champions League semi-final in 2006, as well as giants Real Madrid and Malaga, whom last year were within a minute of reaching a highly unlikely Champions League semi-final. His pedigree of successful runs in Europe’s elite club competition was no doubt a key factor in his appointment as manager of Manchester City, a club who for two years in a row have failed to qualify for the competitions knockout stages. A key feature of the Chilean’s management is his relationship with his players and his ability to attain the maximum potential from his squad by taking interest not only in their footballing lives but also their personal lives, a far cry from former boss Roberto Mancini who took a more business-like approach to his job often to the detriment of the spirit in the dressing room. Pellegrini will know from working at Real Madrid that there is no honeymoon period in such a high profile job, however, and will have to get off to a positive start in order to convince fans, still hurting from the departure of Mancini, that he is capable of achieving a high level of performance from a squad who often went through the motions last season in what was a shambolic attempt at retaining the championship. Along with Manchester City; Chelsea and Manchester United also head into the coming campaign with a new manager and so deciding the title may come down to who flinches first. One suspects that a man of Pellegrini’s experience will not lose much sleep over the demands of English football. However, with a hungry David Moyes up the road at Old Trafford and Jose Mourinho arriving back into English football, the Chilean may have just walked into the toughest task of his 26 year managerial career. In Manchester City’s title winning season, Sergio Aguero hit 30 goals in all competitions in what was his debut season in English football after signing from Athletico Madrid in August 2011 for £38million. His goals proved to quite literally be the difference between first and second place as on the last day of the season, he scored a last minute winner against QPR to win Manchester City’s first Premier League trophy. Last season, though, Aguero endured quite a stop-start campaign and only managed 17 goals in all competitions in what was a trophy-less season for the club. Whether it be complacency, second season syndrome or problems off the field, the Argentinian looked to have lost that sense of excitement which had enthralled English football the year before, he also seemed a yard short of pace. Inevitably, there were flashes of brilliance, such as his solo goal in the derby at Old Trafford, but these were few and far between. However, after being linked with a move to Real Madrid, Aguero announced his desire to remain at the club and has impressed manager Manuel Pellegrini with his work ethic in training. If these are signs that the striker is a about to return to the form of 2011/12, then this could spell trouble for defences at home and in Europe. 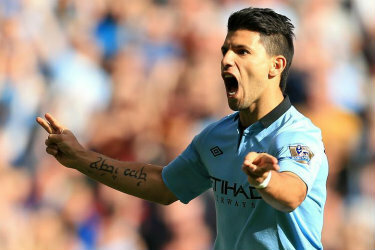 It is no coincidence that just as Aguero seemed off colour last season, so did the whole of the Manchester City side. The Argentine is the heartbeat of the attack and with players like David Silva and Samir Nasri’s fondness for patient build-up play, Aguero represents a different threat; blistering pace and lethal finishing that often leaves the last defender for dead. Undoubtedly on par with Robin van Persie as perhaps the league’s best striker, an in form Aguero would mean a completely different City outfit this time around. And with new signings Jesus Navas and Alvaro Negredo sure to provide the striker with plenty of chances, this could be the most prolific season yet for Aguero and it will have to be, or else Manchester City could find themselves struggling to regain a foothold in the battle for the Premier League title. Manuel Pellegrini will know for certain that this side is capable of a lot more than they achieved last season and with some new faces added to a team already blessed with world class players, Manchester City could be a very dangerous outfit this season. However, there were subpar performances right down the spine of the team last season. Joe Hart struggled to hit top form and a falling out with Roberto Mancini saw him lose confidence and led to crucial mistakes from the England number one in the title race. Vincent Kompany also endured a tough campaign in which he lacked the leadership and commanding element to his game that has made him a world class defender. 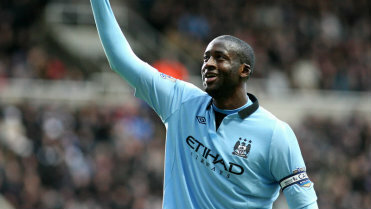 Also, Yaya Toure (pictured above), David Silva and Sergio Aguero failed to find the flair and quick passing of the season before which caused havoc for Premier League defences. The manager will know that getting the best out of these five key players is what is most crucial to City’s planned assault on the title and Champions League this season. 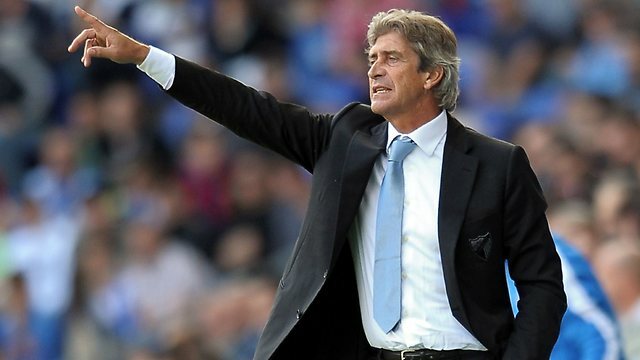 Pellegrini’s signings have been clever and will provide the key players with the opportunity to find their best form. Fernandinho’s combative midfield style will free up a lot of room for Toure to make his trademark lung bursting runs up field while the width added in the form of Jesus Navas will offer playmaker David Silva a different option in the final third as will the addition of Stevan Jovetic (pictured below), a player in the Carlos Tevez mode, who will chase down every ball and add quality to the left hand side of City’s attack, a position in which they were short last season. A second season without silverware is not an option for the club and after a season in which performances seemed disinterested and lacking in courage, Pellegrini will know that his new team will need to be up for the fight this time around or risk falling behind. While Manchester United probably do not possess the quality that City do, their determination and sheer will to win last season saw them steamroll their way to the title. City will have to adapt that quality to their play if they want to avoid another season of disappointment this time around.